Miami South Beach model photographer JBow Photography shoots fashion models for Miami modeling agents and aspiring models throughout Florida. JBow Photography Miami fashion photographer, Specializing in fashion model photography, model portfolios, portraits, beauty and glamour model photography in Miami, South Beach Florida. Jeff has been in the fashion industry for 20 plus years behind and in front of the lens which has given him an artistically inspired eye of all that is art in fashion photography. Working with all the top Miami modeling agencies and designers including Elite, Wilhelmina, Ford models and designers from Armani to Sergoi Valente. Jeff traveled the world working and learning about photography through working with great photographers through the years. Jeff specializes in fashion model photography which includes fashion, model portfolios and composites, glamour photography. If you are a model in Miami or coming to south Florida and would like to set up a fashion shoot Jeff has many years of experience and knows what type of pictures Miami modeling agency’s are looking for. Jeff also had great connections with all the modeling agencies and has helped many aspiring models get interviews and accepted with the best agents in Miami. 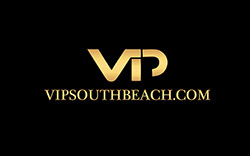 If you need a photographer for your model portfolio and you are interested in booking a photo shoot contact Jeff at 305 804 5071 or email info@vipsouthbeach.com and set up a date. Rates are very reasonable and a makeup artist if needed is available upon request. Jeff also shoots nightlife parties and special events including bachelorette parties, corporate events, yacht parties and all types of nightlife events. Contact Jeff for and set up your photo shoot today.